So You Thought Your Earrings Couldn't Get Any Bigger? Statement earrings...I hear your sighing through your screen. What a bore and am I the only person totally over them? 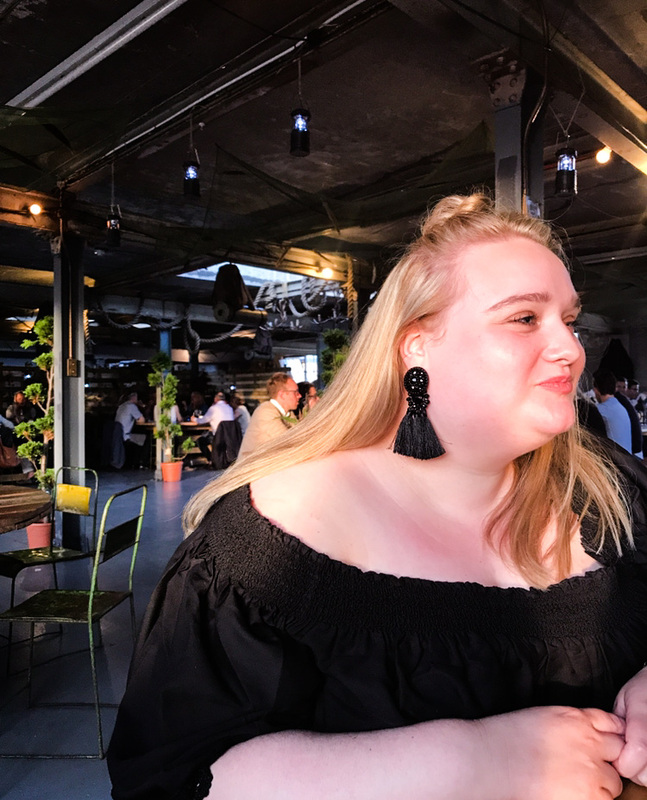 I live and breath my hoop earrings and even ventured into a dangly number from the lovely Atticus Boutique but that's really as far as I went. Please don't think I didn't try the tassel trend or the beaded trend or the feather phase because I did and they just didn't work for me. I've got a short(ish) neck, really dark short hair and olive skin so it was a bit difficult finding ones I loved. Lyndsey however, is fully obsessed with a big earring and cheeky tassel which she wears with sheer pride because they suit her so well. But, it's just not for me. Let's just take a second thought because right about now is where my opinions have changed. Swan diving in, as of springtime, will be...SUPERSIZE earrings. 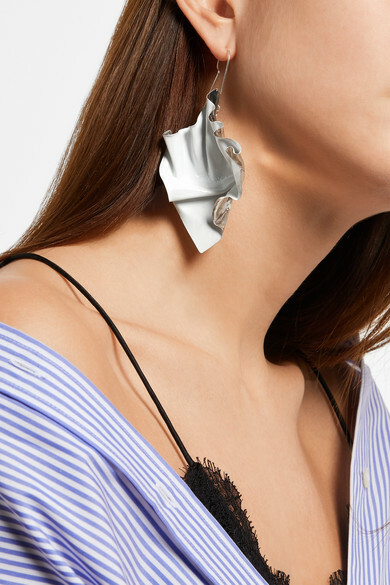 That's right, oversized and statement earrings were apparently just not enough for our ears and this is the obvious answer. Thanks to the delights of Queen Bey's Instagram gracing us with perfect examples of ridiculous earrings- laugh no more because she's way ahead of us. Take Burberry's wild chandelier's or WWAKE's designs to kick-start your inspirations. Think more clean and classy though so stay away from wild feathers and think more clean lines, structure and textures. The WWAKE earrings are something I would 100% go for. The crafted lines and dedication that have gone into such a stunning design are enough for me to hand the money over. They're not too in your face but still bang-on trend/will go with everything for ay occasion. Burberry's infamous Chandelier's are obviously a bit more glam with the sparkle and varying colours of stones but they are just as elegant. If you love trying a bit of everything and you're not so stuck to one style then they are the kind of thing you need to get you hands on. So please say a swell toodle-pip to your beloved hoops and tassels and a warm hello to your newest edition.